Jerry Wright Homes has five new construction homes for sale in the Plains at Riverside in Temple, TX. Jerry is building four tried and true customer favorites, plus a new plan that features a beautiful open floor plan with an incredible kitchen! A four bedroom, two bath home, this house has a side entry garage on a corner lot and a very impressive master suite that opens to the rear covered patio. This is the 2033 Plan. 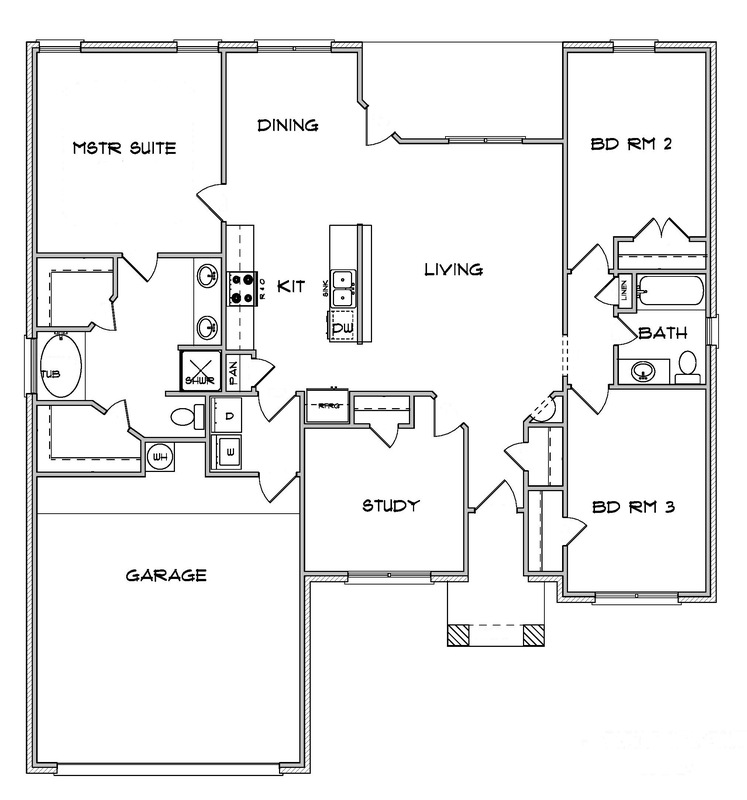 This is the Jerry Wright Homes Texas Plan. Approximately 1680 Square feet, this four bedroom, two bath home lives large with a very open floorplan and split bedroom arrangement. 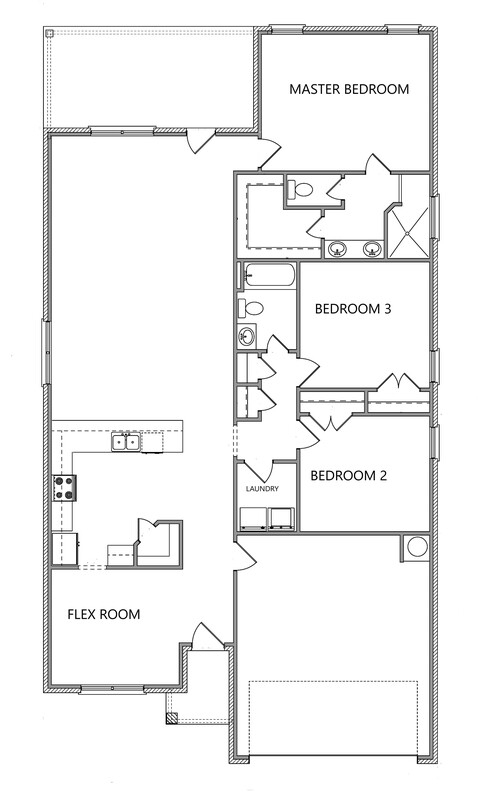 One bedroom opens near the entryway, two additional bedrooms are in another wing of the home, while the master suite is on the other side of the living areas. Kitchen features include a pantry, big granite breakfast bar and custom cabinetry. 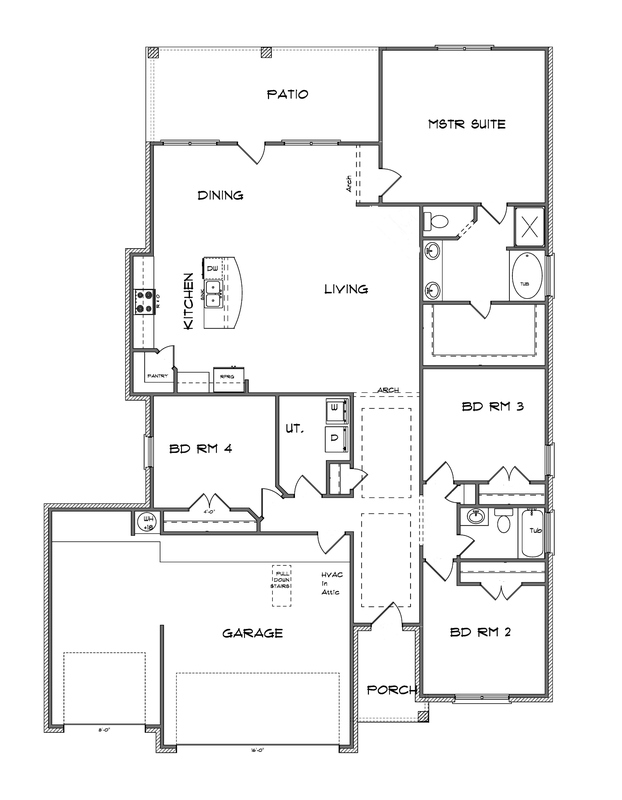 Brand new floorplan for Jerry Wright Homes has three bedrooms plus a flex room that can serve as a formal dining, second living area or an office. Full of many surprising custom features, the kitchen is spectacular with almost 12 feet of granite slab breakfast bar, a big true walk-in pantry and tall custom cabinetry. The breakfast bar overlooks the dining and living areas, which open to the rear covered patio. The master suite is a beauty, with a stunning walk in shower accented with lots of glass, ceramic tile and high windows. This home, offered by Temple home builder Jerry Wright, is the wonderful 2026 Plan with a three car garage. Incredible entry gallery, big open floorplan, island kitchen, room for all your big furniture and electronics are highlights of this plan. Lots of windows keep this home light and bright. The rear patio is very large with plenty of space to enjoy your back yard or to entertain guests. There's one bedroom tucked away down a short hallway that would be a perfect home office! 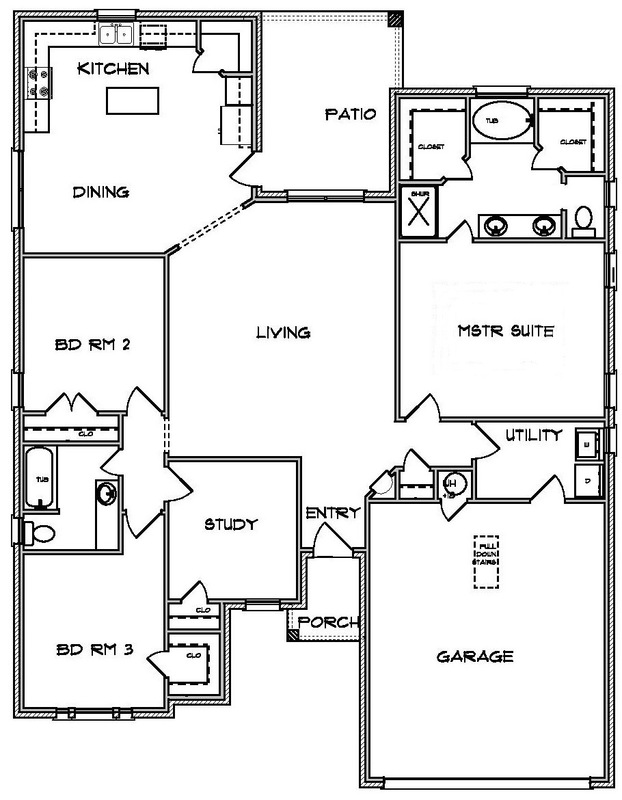 This is one of Jerry Wright Homes' most popular floorplans! 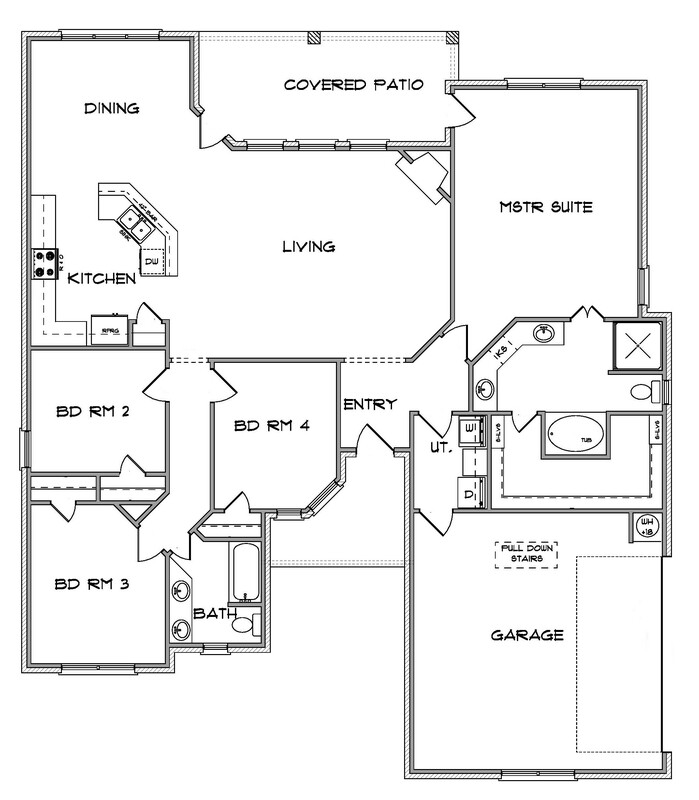 Under construction now, this plan features four bedrooms and two baths. The big open living area with lots of wall space opens into the island kitchen and spacious dining area. You can fit a big table in there! This kitchen has tons of cabinets, granite and a pantry. The master suite is secluded and has a bath with two closets, deep garden tub and separate shower. Jerry Wright Homes builds homes for today's buyers! Whether in a subdivision like The Plains at Riverside, or in a custom home on your land, you'll find quality and value in each and every home!